As Christians we realize that the unseen powers of evil of which the Bible has much to say, are those entities that are submitted to, and in accord with the one known as Satan (ISAIAH 14; EZEK 28). Just as certainly as there are angels, there are fallen angels (some say these are synonymous with demons), and as the holy angels bring the message of God’s Word, so too the fallen angels bring messages from their Master. The difference is that the evil angels bring their messages incognito as it were; disguised as something other than what they really are. They may come in the guise of ‘aliens’ or ‘ghosts’ (perhaps your long deceased Uncle Joe who was the only one who called you by a secret pet name, and lo and behold, there in a séance, he appears, and calls you that very name!). They appeared as ‘gods’ to primitive man, which worshiped them all as the Greek, Roman or Oriental pantheon. There are also manifestations of these demonic entities in the form of what some have called “the Ascended Masters”; Madame Helena Blavatsky and her prodigy, Alice Bailey referred to these beings as all wise and powerful, benevolent, and desirous to lead mankind into an age of paradise and peace. 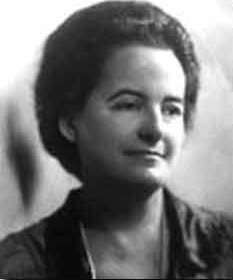 The following article by Alan Morrison’s book The Serpent and the Cross (as found on Richard Boyden’s web site) deals further with the subject that Alice Bailey herself spoke about at great length, that being the Ascended Masters. Please note that The TRUTH Under FIRE does not endorse everything that Mr. Boyden asserts on his web site. ". . . we have spoken of a hierarchy of spirit-entities known variously as the "Ascended Masters" or "Great White Brotherhood" or "Brotherhood of Luxor". These beings are alleged by Neo-Gnostics to be overseeing the spiritual and 'evolutionary' development of the human race on both an individual level and in terms of the process of global civilization." According to the accounts, there is a distinct hierarchy of Masters in operation which –– based on the schemes upheld by H.P. Blavatsky and Alice Bailey. “It is not at all beyond the bounds of possibility that what is being laid out . . . some way reflects an aspect of the 'spiritual hosts of wickedness in the heavenly places' who are the 'rulers of the darkness of this age', as spoken of by the Apostle Paul in EPHESIANS –– which, above all else, gives an overview of the place of the Church in relation to the cosmic powers (EPH 6:12). "These Masters are alleged to work from a specific spiritual centre of a Hierarchy of Brothers of Light; they are all in physical existence, either in dense physical bodies, such as many of the Masters employ, or in etheric bodies, such as the more exalted helpers and the Lord of the World occupy... for their work in this world –– an 'etheric retreat' centered on the Gobi Desert, entitled 'Shambhala'. It’s called in the ancient books the "White Island". It exists in etheric matter, and when [humanity] has developed etheric vision, its location will be recognized and its reality admitted... They are also associated with a hidden location in Tibet called 'Shigatse'." A number of lesser Masters are said to have taken over strategically-placed [physical] bodies in order to carry out their tasks in the world; but the greater number are scattered all over the world, dwelling in different places in the various nations, unrecognized and unknown, yet forming each in His own place a focal point for the energy of the Lord of the World'. The only spiritual entity to be referred to in such a way in the Bible is the devil himself, whom Paul designates 'the god of this world' (2 COR 4:4), and Jesus refers to as the 'ruler of this world' (JOHN 12:31;14:30;16:11). Furthermore, is there not a connection between the fact that these Masters are said to operate from an etheric location above the earth, while Satan and his fallen angelic accomplices are spoken of in Scripture as operating from 'the air' (EPH 2:2) –– an other-dimensional location corresponding to the atmosphere of the earth? • Unifying Eastern and Western thought to bring about one universal church. • Stimulating the growth of the healing arts. • Building the world influence of occult groups such as the Freemasons, etc. * Such psychic, or ‘paranormal’ investigation and scientific research was quite prevalent in the mid to late 30’s at Duke University and one Dr. Rhine and it continues today at various Universities as well; there will be a supplement of information regarding this kind of research at the end of this article; studies that are transpiring locally here in Tucson, AZ at the University of Arizona. "Occultic developments involving disincarnates are being tolerated even in establishment circles. As a sure sign of the times, the 'Daily Telegraph' blandly reported that 'a psychic who says that he goes into a trance and is guided by four spirits to write a book is receiving a grant from the Government enterprise allowance scheme'." "We are now living on the threshold of one of the greatest deceptions ever to manifest in the world, but through which the vast majority of Christians are sleep-walking. 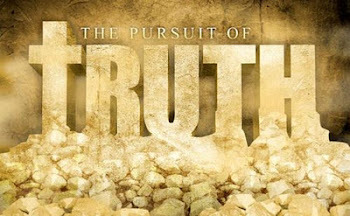 The corruption of doctrine in the Church, the vast liberal apostasy in colleges and congregations, the huge growth in occult practices, the development of the New Gnosticism, the propagation of a New World Order –– all this must be seen against the backcloth of the work attributed by occultists to these 'Masters' in the world. Occult adepts of the higher degrees have known these secrets for decades." "Very definitely may the assurance be given here, that prior to the coming of the [World Teacher], adjustments will be made so that at the head of all great organizations will be found either a Master, or an initiate who has taken the third initiation. At the head of certain of the great occult groups, of the Freemasons of the world, and of the various great divisions of the Church, and resident in many of the great nations will be found initiates or masters. This work of the Masters is proceeding now, and all their efforts are being bent towards bringing it to a successful consummation. Everywhere [the Masters] are gathering in those who in any way show a tendency to respond to high vibration, seeking to force their vibration and to fit them so that they may be of use at the time of the coming of the [World Teacher]. "Great is the day of opportunity, for when that time comes, through the stupendous strength of the vibration then brought to bear upon the sons of men, it will be possible for those who now do the necessary work to take a great step forward, and to pass through the portal of initiation"
These references to ‘vibrations’ essentially is no different in meaning than what Alice Bailey called “overshadowing” and “psychic impressions”; these are euphemisms for demonic influence and possession! “What are Christians to make of all this millennial expectancy and the advent of a World Teacher? Surely, just as the idea of a future Golden Age on earth has been fabricated by Satan in his strategy of the Last Days, as a way of seducing people from the biblical fact of eternal life in the New Heavens and New Earth, so he has dredged up the idea of a coming Teacher who will set up a reign of peace and justice on earth –– all in crass counterfeit of the Second Coming of Christ, who will establish a heavenly kingdom. "Many Neo-Gnostics even refer to their coming World Teacher as 'The Christ'. Surely, it’s not impossible that this expected World Teacher, who will have great occult powers and political panache, will actually come in the near future. “The people of the world today are crying out for a strong leader to take them into the twenty-first century. Naturally, such a leader would have to be highly ecumenical if he is to satisfy the requirements of all the sects and religions who are awaiting his coming. But that is not beyond the bounds of possibility, given the present syncretist outlook of the world; when such a world leader does appear . . . [he will] be the Antichrist shown by the Bible to appear and rule on earth for a brief time as Satan's figurehead before the return of the true Jesus Christ (2 THESS 2:3-11). 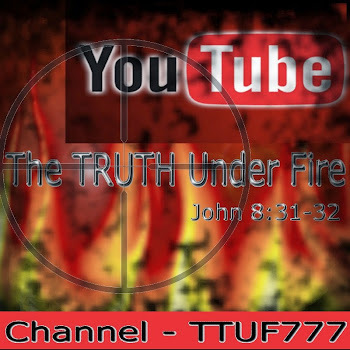 “In view of the Scriptural data, it is likely that there will be a large degree of deception about this event when it comes to pass (2 THESS 2:9-11), especially when we consider that there are a great many professing Christians who are also expecting Jesus to set up a kingdom of peace and justice on the earth! We should remember the warning of the Lord that false christs can be so beguiling that they have the potential to deceive the elect, if such a thing is possible (MATT 24:24). Remember also how He added emphatically, 'See, I have told you beforehand' (MATT 24:25). "The 'quantum leap' being generated by the Neo-Gnostics of today, which brings men and women into contact with such beings, represents a huge escalation in the spiritual battle which has been waged by Satan against his Creator from the commencement of world history, and in which we will all be involved. "It is all part of an inexorable process in which the Church on earth will be wholly engulfed. Many will doubtless fall away, and the faith of many will be tested; but if believers are intelligently informed, the element of surprise will be greatly diminished and their sense of certainty in the overruling hand of God will prevail." I find it fascinating that there is a repeated reference to both Neo-Gnostics, and the apostate church whose perspective has been altered from a biblical world view to a humanist/New Age-Spirituality world view, concerned not only for spiritual things of the mystical sort, but worldly matters such as the ecology, social wrongs and dilemmas, and esteem political action as well. It would seem that the Neo-Gnostics have done their work well in converting Christendom to their own calling. Once deprived of her spiritual roots of the Bible and its inerrant Truth, the remaining apostate church will be (and by and large is already) prepared to swallow mystic and occult practices and belief-systems! One must wonder if Alice Bailey understood the full ramifications of her own work, and where it would lead in these burgeoning enterprises of evil, promulgated by the various organizations she founded, and or helped to promote. The Sophia (wisdom) Project as well, then review the information following afterwards! Notice the Symbol of the Triquetra used at this site, known as the Triqueta or 'Mobius'. in the Department of Psychology at the University of Arizona is currently conducting a study concerning peoples experience in channeling or communication with Deceased People, Spirit Guides, Angels, Other-Worldly Entities / Extraterrestrials, and a Universal Intelligence / God. During this study we will collect information from professional Channelers / Communicators about their experiences and background. Participants in this study will be asked to complete an on-line pre-screening questionnaire, a consent form, two short, standardized surveys and an audio-recorded phone interview. Each step will be described during participation. Harpers' Encyclopedia of Mystical & Paranormal Experience (p.594) says, "Symbols are important to all esoteric teachings, for they contain secret wisdom accessible only to the initiated." The Aquarian Conspiracy, a key New Age "handbook", bears a similar symbol. And New Agers freely admit it represents three inter-woven "6"s or "666". "On the cover of the Aquarian Conspiracy is a mobius, it is really used by them as triple six (666). The emblem on the cover of the New King James Bible [same symbol as P.O.D. 's] is said to be an ancient symbol of the Trinity. The old symbol had Gnostic origins. It was more Gnostic than Christian. I was rather alarmed when I noticed the emblem..."
The same symbol (with a circle as does P.O.D. also) is displayed by the rock group Led Zeppelin. Members of Led Zeppelin are deeply involved in satanism and the occult. Guitarist Jimmy Page, so consumed with satanism, actually purchased satanist Aleister Crowley's mansion. Most believe the symbol is from the teachings of Aleister Crowley and represents 666. "Marilyn Ferguson, a New Ager, used the symbol of the triquetra (another name for the triskele) on her book The Aquarian Conspiracy. This is a variation for the number 666. Other books and material have a similar design printed on them, such as books from David Spangler, the person who lauds Lucifer, and The Witch's Grimoire. As most people know, the number 666 is the number of the beast (see REV 13:18) and is evil, yet the occultists and New Agers love this number and consider it to be sacred. As stated earlier, many organizations, such as the World Future Society and the Trilateral Commission, incorporate this symbol into their logo. I think it is quite interesting to see that this same symbol appears on the cover of the New King James Bible as well! [as it also does on P.O.D.s albums, web site, shirts, etc.]" There are many other occult influences on the cover of The Fundamental Elements of Southtown album. In fact, because of the occult influences covering The Fundamental Elements of Southtown album, many Christian bookstores totally banned the album. But, as they say, "you ain’t seen nothing yet." Thus we see in Universities, book publications, global organizations, training vehicles for educators in both public schools and higher education, economics, etc. the finger prints of Alice Bailey and her work in ‘The Plan’. Roger Oakland’s FAITH UNDONE and other works. Also, the collective works of Ray Yungen. Above all however, let us remember to READ OUR BIBLES for this is the Word of God and absolutely able in giving us discernment between that which is Truth, and good, and holy, and that which is not! As I said near the beginning of this article in Part One, this indeed is spiritual warfare! May the Spirit of the LORD GOD Keep us in His Love, and walking in His Truth!